PNP Games Super Smash Bros 64 Tournament July 28th! 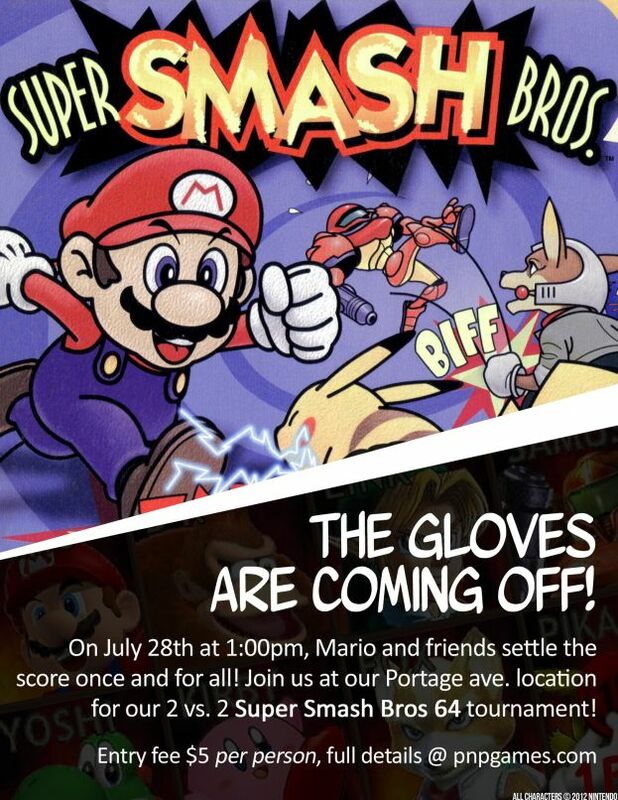 Join us on July 28th at PNP Games (2609 Portage Ave.) for our 2 vs 2 Super Smash Bros 64 Tournament! Thinking of coming down? RSVP right now on Facebook!